Randall was far from the only Browns player to have such high opinions of Jones. Cleveland Browns defensive back Damarious Randall has seen plenty of talented wide receivers during his time in the National Football League, but the very man he will line up against at FirstEnergy Stadium on Sunday is the one he considers the most difficult of all tests. And that man is multi-time All-Pro/Pro Bowl receiver Julio Jones of the Atlanta Falcons. “Julio is the best receiver I’ve faced,” Randall said. “I think there’s a lot of great, talented receivers in this league and he definitely fits the bill,” cornerback T.J. Carrie said. 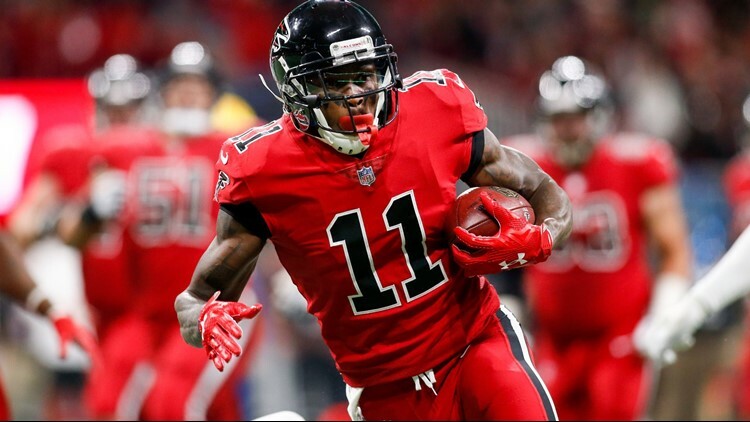 Now in his eighth NFL season out of the University of Alabama, Jones has turned 60 catches into 933 yards, an average of 15.6 yards per reception, with 43 first-down plays and one touchdown, along with a long attempt of 58 yards. And that nearly 1,000-yard total has come in just eight games. 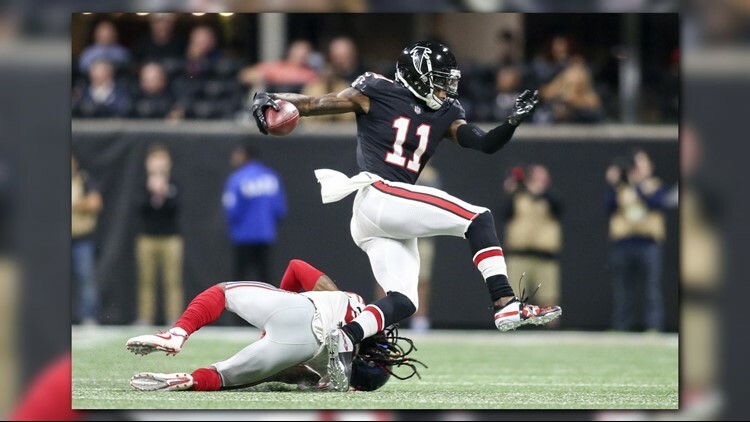 Atlanta Falcons wide receiver Julio Jones (11) is tackled by New York Giants cornerback Janoris Jenkins (20) in the fourth quarter at Mercedes-Benz Stadium. Although teams have given up nearly 1,000 yards to Jones over eight games this season, they have done remarkably well at keeping him out of the end zone, as he has just the one receiving touchdown. However, the Browns know they “have to be spot on” in their coverages against Jones. Carrie added, “Doesn’t matter. I think that they have so many weapons there that it used to be Julio was a big staple of their offense, and now, they have so many other weapons that they can use that Matt Ryan is able to really spread the ball around.